The introduction of ‘New Media’ and the digitisation of the media industry has resulted in news consumers migrating towards online methods of news consumption. This has left the future of ‘traditional media’– print and broadcast – in question. Focal Points* conducted an analysis on the news platforms in South Africa. It was found that print media is still the preferred medium of news in South Africa, with the minority of the population receiving their news solely from online platforms. Following the introduction of local content quotas in 2016, South Africans have indicated a clear preference for locally produced media content. Despite the encouraging innovations and growth in other mediums, print newspaper houses largely remain the home of in-depth and investigative journalism in South Africa. South Africa’s turbulent passage from apartheid to democracy has made South Africans remarkably news hungry, fed by a robust, free and flourishing press (Bosch, 2014: 31-31). Globally, media management faces new challenges every day. Newspaper circulation has experienced a sharp decline, and, in some instances, collapsed altogether. Newspaper readers across the globe appear to be moving from print publications and migrating towards online. Consequently, advertisers have reduced their presence in print publications, moving towards digital. In order to provide adequate solutions to the growing trends in media consumption, it has become more important to have accurate media analyses (Windeck, 2009: 4). This paper serves as analysis of the growth of the South African media industry across the three editorial platforms - print, broadcast, and online; and assesses the key trends in media landscape. The print landscape in South Africa has evolved immensely. While the trend of moving towards online is prevalent on a global scale, studies have shown that print publications in South Africa remain the country’s preferred platform. Between 2004 and 2014, the number of daily newspapers in South Africa increased, while the circulation for daily newspapers declined by 16%. Comparatively, the readership of daily newspapers increased from 21% to 29%, indicating that South Africans are still eager news consumers, but have simply shifted their readership1 and consumption patterns (AMPS, 2014). However, the data post 2014 paints a slightly different picture. Specifically, Mail & Guardian saw an increase of 11,3% in circulation in the fourth quarter of 2016, while majority of other newspapers, including The Sowetan, Sunday Tribune, and Weekend Argus, experienced a circulation decrease year on year. Furthermore, Business to Business magazines are thriving in the South African print media market, as this is the only print media category that saw an increase in all sectors throughout 2016 (ABC, 2016). Newspapers remain a vital element in South African society, although, the trend of people sharing copies instead of buying their own has made the exact number of readers difficult to determine. Broadcast media currently serves as the most widespread form of community media in developing countries such as South Africa. Community media is essentially media that is produced by the community, for the community. Community broadcast media is widespread as it is cheap to produce, easy to access, covers large areas, and overcomes illiteracy2. Community media emerged in South Africa within the context of the people’s media movement during the 1980s, which popularised an anti-apartheid discourse. Community media projected the political and cultural struggles against apartheid, where broadcast had the perceived potential to inform and mobilise communities (Bosch, 2014: 30). Between 2004 and 2014, the number of African language radio stations did not increase in South Africa, but six new commercial radio stations and 17 new community stations were added. In contrast, radio is the media path least affected by digital migration as the methods of listening to the radio are firmly established and have not been disturbed by streaming. In 2016, the South African Broadcasting Corporation (SABC) instituted quotas for locally produced content. It stipulated that SABC radio stations needed to air 90% locally produced music and further quotas were implemented for the SABC television channels. It has been found that local content quotas can benefit a nation through the preservation of cultural and economic activity and the promotion of diversity (Van Schalkwyk & Schreuder, 2016). An evident trend in the South African television development is the predominance of local over international content in South Africa, even among those with satellite television access through DStv. A survey found that 38% of subscribed DStv news consumers prefer to watch local channels rather than international news channels. This indicates a preference for South African-based media. A further preference for traditional radio over streamed radio was evident (Kruper, 2015:14-15). It is evident that the digital information migration has had little impact on South African broadcast media. The development of technology has not only changed the media dynamic when it comes to content, but it has become a significant factor in creating new ways for the media industry to interact with its audiences. Blogs, mobile phones and various other online devices are bringing content creators into closer contact with their consumers3. ‘New Media’ is a 21st Century catchphrase used to define all things related to the internet, technology, media, as well as the incorporation of images and video. Consequently, new media is set to dominate the interconnected world.4 New media has, at times, scooped editorial media in breaking news, and traditional journalists often use social media networks to release the breaking stories (Bosch, 2014: 31-31). This creates a participatory link between the journalism fraternity and the citizens, where the citizen is given direct access to participate in and have access to news stories. However, Africa faces a plethora of challenges: absence of internet connectivity in parts or slow internet connections; weak technological equipment; and low skill levels among journalists. These all impact upon the digital migration, while the rest of the world is racing ahead with the ever-evolving digital media landscape (Windeck, 2009: 4). A brief look at the global migration towards digital communication demonstrates that news websites have considerable traction, but have not begun to supplant the traditional newspaper. Almost 59% of newspaper consumers read only the traditional print version of news, 36% receive news through a combination of online and print publications, and a mere 5% are only reading digital. Interestingly, it is the access to computer hardware, specifically tablets that provides readers with bigger screens, which has particularly enabled the access to news and publications online (Kruper, 2015: 15). The embracing of digital media by newspapers and other ‘traditional media’ will not necessarily provide the solutions to all the problems faced by media houses. However, the digital migration could potentially provide improved financial bottom lines: if managed well, digital media can create additional income, more customers, and new ways of distribution, which could contribute to extended media freedom (Windeck, 2009: 4). However, newspapers and print media in South Africa have not been supplanted by online media. Furthermore, researchers have concluded that “if you want exposure think both newspapers and internet” (Kruper, 2015: 18). The historical analysis of the local media landscape demonstrates that while there is a movement toward a larger consumption of ‘New Media’ platforms, South Africans rely heavily on traditional media to access the news. Despite the gradual decline in print media circulation and revenue, South Africans are avid consumers of newspapers. In 2013, Politicsweb published an article entitled ‘SA’s media: The old is dying, the new is struggling to be born’.6 This title articulately sums up the state of the South African media landscape, where print media is not yet dead and the online world is not ready to assume control. To download the analysis as a PDF, click here. *Focal Points uses both qualitative and quantitative methods to investigate topics of interest in the media and provides academic insights. 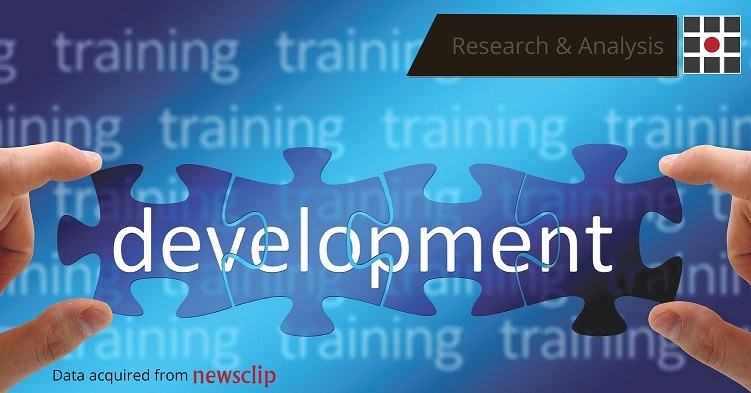 Focal Points sources its research data from Newsclip Media Monitoring. Newsclip has over 30 years’ experience in media monitoring and content management, providing clients with meaningful and measurable media solutions. Newsclip monitors the full media landscape in South Africa, along with an expanding African portfolio. For more information, visit www.newsclip.co.za. Alternatively, connect with them on Facebook, Twitter or on LinkedIn. All Media Products Survey (AMPS): ‘SAARF AMPS 2014A Presentation’ October 2014. Audit Bureau of Circulations of South Africa (ABC): ‘Report 86.0: 4th quarter release.’ December 2016. Bosch, T: ‘Social media and community radio journalism in South Africa.’ Digital Journalism, 2(1): 29-43. Future Fact: ‘SA Media Landscape – 10 things you need to know’. June 2015. Kruper, J: ‘The things you need to know about the South African media landscape.’ JRJ. August 2015. Windeck, F: ‘African media plots future in digital era’ Konrad-Adenauer-Stiftung, Johannesburg, 2009. 1 Readership is defined as the total number of unique individuals exposed to the publication. 2 United Nations: ‘The role of community media’ http://www.unesco.org/new/en/unesco/events/prizes-and-celebrations/celebrations/international-days/world-press-freedom-day/previous-celebrations/ worldpressfreedomday2009001/themes/the-role-of-community-media/ Published on: 3 May 2008. 3 United Nations: ‘The role of community media’ http://www.unesco.org/new/en/unesco/events/prizes-and-celebrations/celebrations/international-days/world-press-freedom-day/previous-celebrations/ worldpressfreedomday2009001/themes/the-role-of-community-media/ Published on: 3 May 2008. 4 Communikay: ‘The Technology Media Landscape in South Africa’ Published on: 28 January 2016. 5 Lungelo Shezi. ‘SA’s 26.8 million internet users spend almost three hours a day on social media’ Published on: 29 April 2017. 6 Unknown: ‘SA’s media: The old is dying, the new is struggling to be born’ http://www.politicsweb.co.za/news-and-analysis/sas-media-the-old-is-dying-the-new-is-struggling-t Published on: 5 September 2013.